Pierre-Emmanuel Taittinger wasn’t remotely expecting the call when it came on 28 may in 2006. Not least because it was late and he was going to bed. He’d literally just taken off his trousers when the phone rang with the most momentous news of his life. His E660m bid to buy back the family Champagne business had been accepted. Taittinger, finally, was his. According to Taittinger, this heroic quest wasn’t about his own ego or ambition. ‘I really did it for other people, especially my father,’ he adds. ‘getting the Champagne business back helped heal the wounds at the end of his life.’ Equally, he desperately wanted to preserve the family business for future generations, beginning with his own children – Clovis, Vitalie and Clémence. It was some time later when his uncle Claude, then Taittinger’s president, suggested he joined the family business. ‘I only did so out of obligation. At first, I had no passion for it,’ Pierre-Emmanuel admits. Despite this, Claude had spotted his nephew’s potential and quickly packed him off on two formative MBA courses in Reims and Paris. His full-time sales role began in England in 1980. Naturally, there were occasional scrapes including one in a pub when he accidentally gate-crashed a stag party. He’d had a few glasses of Champagne and was looking for the loo. He opened the wrong door and beheld three naked strippers. Unable to believe his luck, he started pulling off his clothes to join in. ‘At which point, I was politely escorted from the premises,’ he says, grinning like a Cheshire cat. By his own admission, he’s a romantic dreamer and corporate maverick who believes in old- fashioned concepts such as honour, patriotism and duty. He also has quite a cultural hinterland. ‘If I hadn’t gone into Champagne, I would have been a poet or an artist. Equally, I might have ended up in politics or the priesthood,’ he claims. Conversely, he couldn’t be more politically correct on issues such as climate change, describing global warming as the Third World War. ‘It’s the biggest issue the planet faces,’ he says. He hates wasting water and drives a car that runs off ethanol. Self-evidently, there’s method in the apparent madness. 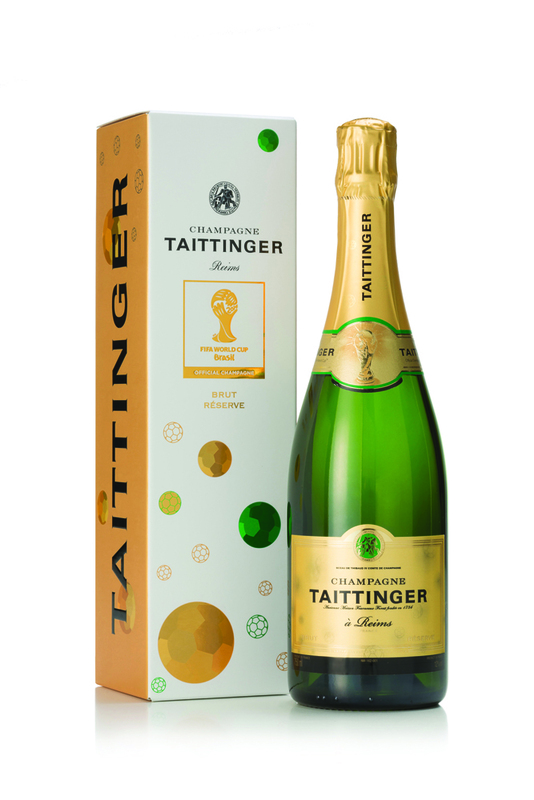 At the start of his tenure, Taittinger brought in a dynamic, brilliant and very young management team with an eye to the future. His son Clovis now looks after all Taittinger’s export markets after a lucrative career in property and finance. His daughter Vitalie is both artistic director and the glamorous public face of the brand. Another key appointment was managing director Damien Le Sueur. Significantly, there was no change in the portfolio or the winemaking department where long- standing cellarmaster, Loïc Dupont, continues to reign supreme. Consequently, the brand’s beloved house style of elegance, delicacy and finesse has been maintained and even enhanced at Pierre- Emmanuel’s hands-on urging. ‘I am mad about our style and quality,’ he says. ‘Everyone in the team tastes every week and all take part in the blending. An important early project was revamping the visitor centre, which receives upwards of 60,000 people a year. The brand’s advertising has also been brought back to life with a series of creative campaigns, spearheaded by Vitalie. And most recently Clovis has pulled off a deal which saw Taittinger become the official Champagne of the 2014 World Cup (pictured). Unlike his father and uncle, Pierre-Emmanuel will hand on the executive baton to the next generation sooner rather than later. ‘I’m quitting at 65,’ he declares, begging the question who will take over in 2018. Many have assumed that Clovis has been groomed for the top job. His father’s response is characteristically enigmatic. ‘I honestly don’t know. God will decide. ‘What I do know is that Taittinger is in very good shape once more,’ he resumes before I can press him further. ‘And whoever gets the job will inherit a great business. We are now one of the top five Champagne houses in terms of quality, image and prestige. And we are very profitable. The last two years have been our best ever.’ More than half a century later, it looks like Pierre-Emmanuel has proved his famous grandfather right.